Is your roof looking old and in need of repair? Perhaps a paint job would give the roof a much-needed face lift, or could brighten your home. Perhaps you’d like to save on your power bills by better insulating your home. With power bills being what are these days, the savings can really help the household budget! Whatever their need in roof restoration, Springvale residents can ask the experts: WorldClass Roofing. We have thirty-years’ experience on the roofs of greater Melbourne, with a reputation for the most durable roofs at low prices. There are many benefits to roof restoration. Springvale residents may not be aware, by unpredictable weather in Melbourne takes its toll on roofs. Extreme UV days will fade paint; buffeting winds and rain will tear at the nuts and bolts. Minor damage should not be ignored either, given the propensity for extreme weather events across Victoria. 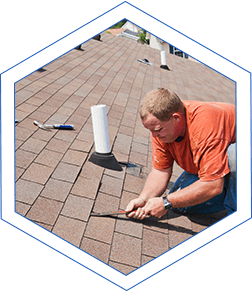 Save now by having experts restore your roof – you don’t want minor damage to turn into major repair! For premium roof restoration Springvale residents must come to WorldClass Roofing. Our roofs last the distance, no matter the weather thrown at them.